June 2016 - Read. Think. Act. (June 27, 2016) This is one of the most important books I have ever read. It is brilliantly written – a combination of deep research interwoven into the life stories of three people who migrated from the deep South to the cities of the North in a mass migration of the 20th Century that changed this country forever. 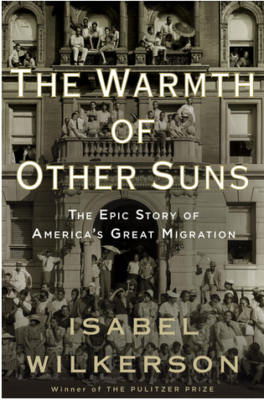 Isabel Wilkerson spent so many years researching this book and gathering the stories of over 1,200 African-Americans who were part of the mass migration that took place in from post World War I through the post Civil Rights Era of the 1970s. She settled on the stories of three individuals she got to know very well, and in her words, each deserving of their own book to tell their life story. While many in the African-American community reject the idea that their Northern migration was an immigrant story, there are classic elements of that experience that Wilkerson points out throughout the book. Unlike other immigrants, assimilation into the broader American culture wasn’t simply a matter of changing a surname and losing an accent. The color of their skin sets them apart within a country and a culture of which they were a part before this country was ever founded by revolution. This book is also a brutal indictment of an American history that we don’t know, don’t acknowledge and certainly don’t teach to school children. Our white washed narrative of the founding of this country does us all a disservice. Our mythological narrative of American values is at odds with a well documented history of brutality that impacts our country and our culture to this very day. We need to understand and own our own story . . . all of it. I would love to stand on the floor of our Virginia Legislature and read this entire book aloud to the people who believe they know history. Those who think they have an understanding of what it means to be a Virginian, a Southerner and a lawmaker should be confronted with well documented history of how it really was – and how it really is – for blacks in this country. We are blind. And often it’s the blind leading the blind that perpetuates misguided ideas about solutions to the problems that continue to plague us. This book should be part of every history curriculum in every high school in America. I highly recommend it. Lift the veil of ignorance and look at what we have done as a country. We can’t change the past, but we can do a much better job of changing our future when we understand that past. 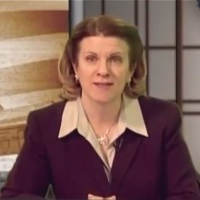 (June 13, 2016) Catherine Read addresses a proposed referendum on the November 2016 ballot in Fairfax County to raise additional revenue through a countywide meals tax. Guests include Kimberly Adams, President of the Fairfax Education Association addressing the need for this revenue to support the Fairfax County Public School System. Jim Corcoran, President of the Northern Virginia Chamber of Commerce speaks about the Chamber’s position against the proposed meals tax and why some local restauranteurs are actively campaigning against it. Braddock Supervisor John Cook, one of eight members of the Fairfax County Board of Supervisors to vote for placing the referendum on November’s ballot, speaks passionately about the need for diversifying sources of revenues to fund our schools and other programs in the county. Supervisor Cook also explains the effect of Virginia being a “Dillon Rule” state and why cities are able to tax meals, cigarettes, alcohol and other items but counties in Virginia cannot. What hangs in the balance is an estimated $100 million in new revenues that would be split 70% for school funding (primarily to close the teacher pay gap with surrounding school systems) and 30% for funding needed investment in public safety programs, social service programs and tax relief.